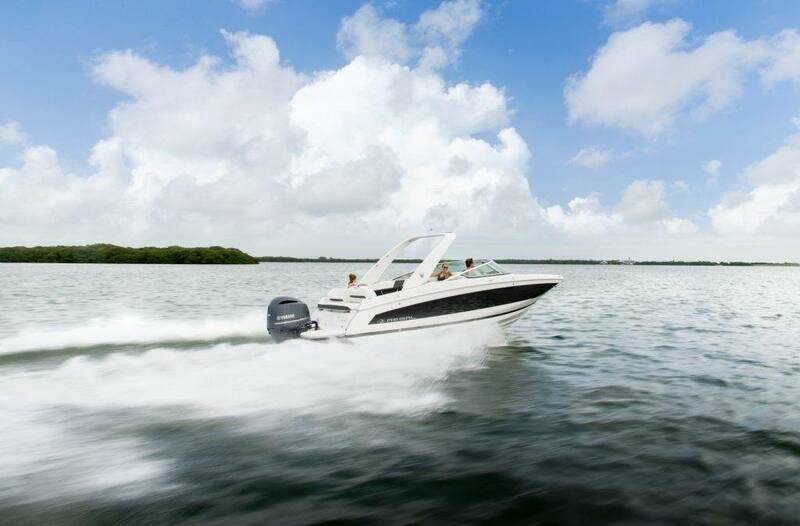 With the perfect balance of luxury and versatility, the 26 OBX is built for the ultimate boating experience. 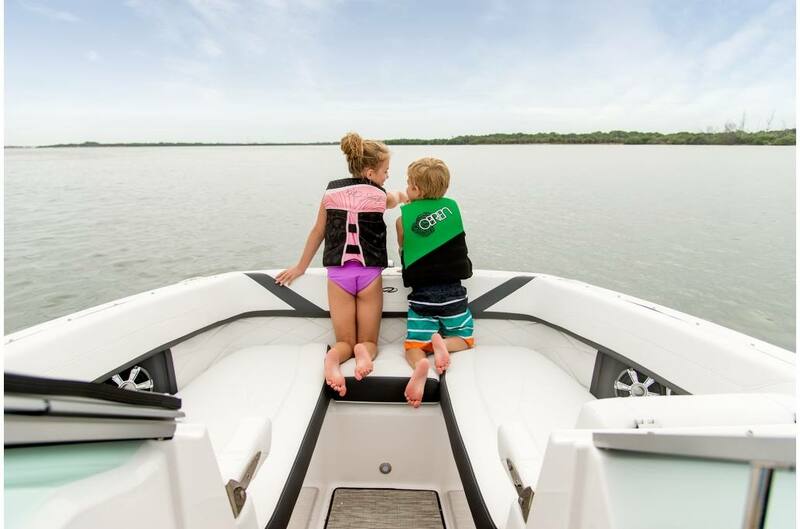 There's plenty of room to take friends and family out on the water with you, and with the ability to flip the Social Seat in the cockpit and the multi-position Ultra Lounge at the transom, everyone will find their favorite spot to sit back and enjoy the ride. 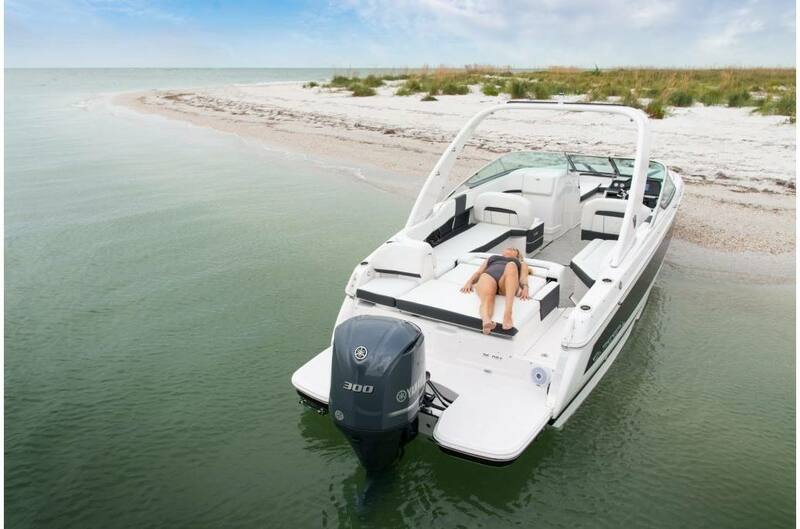 Oversized Bow Seating: Enjoy more room to stretch out and soak up the sun. 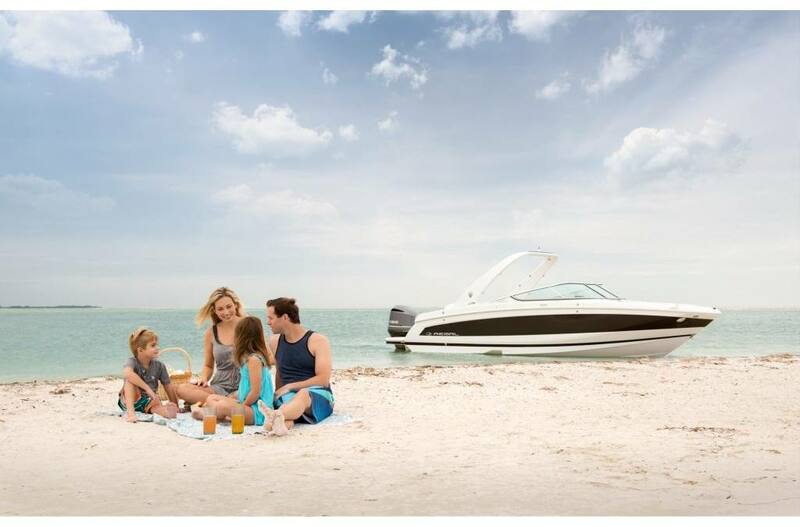 Power of Choice: Enjoy the same layout of the 26 OBX with the possibilities of sterndrive power, explore the Regal 26 FasDeck. 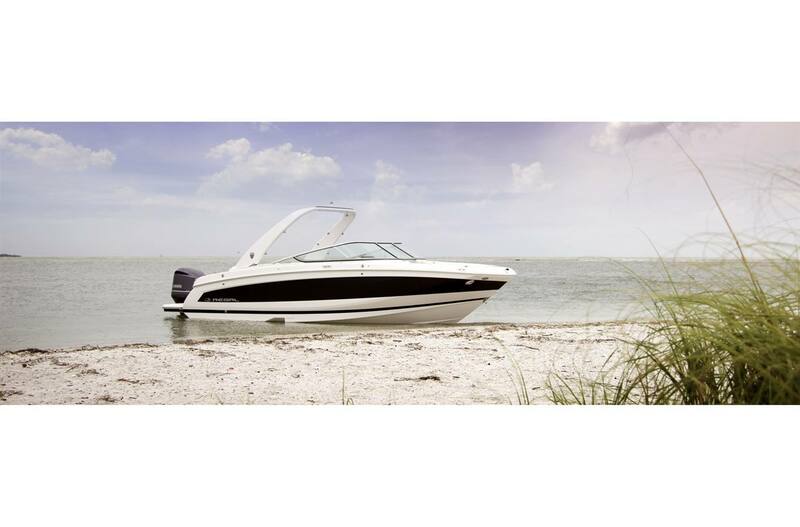 UltraLounge: Whether rafted up, beached, or anchored, the full size transom UltraLounge provides the best place to socialize. 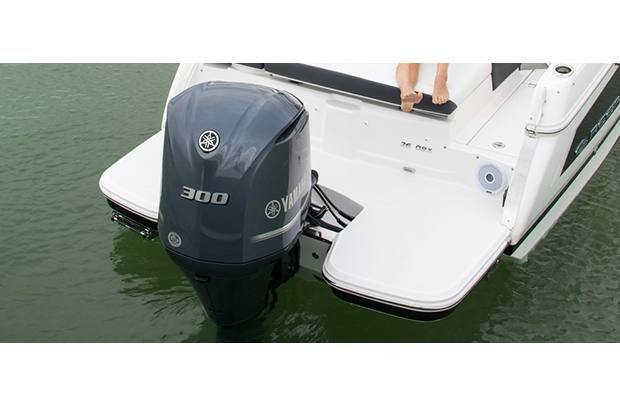 Wraparound Swim Platform: A low-to-the-water swim platform wraps around the outboard making it easier to enjoy activities on the water. 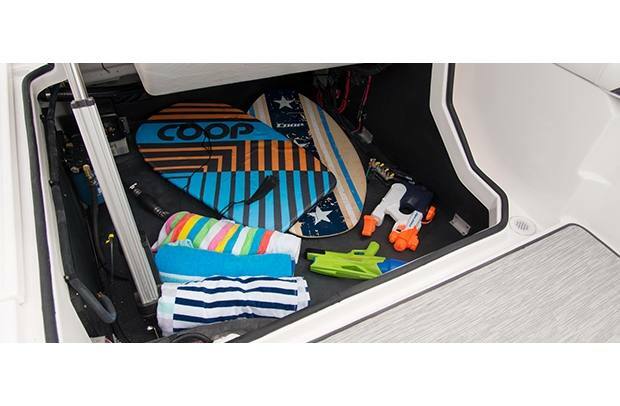 Lazarette Storage: Ample storage space of any extra items you might want for the perfect day out on the water. Handcrafted Upholstery: The 26 features handcrafted upholstery, stainless accents, and expanded seating to accommodate your needs. 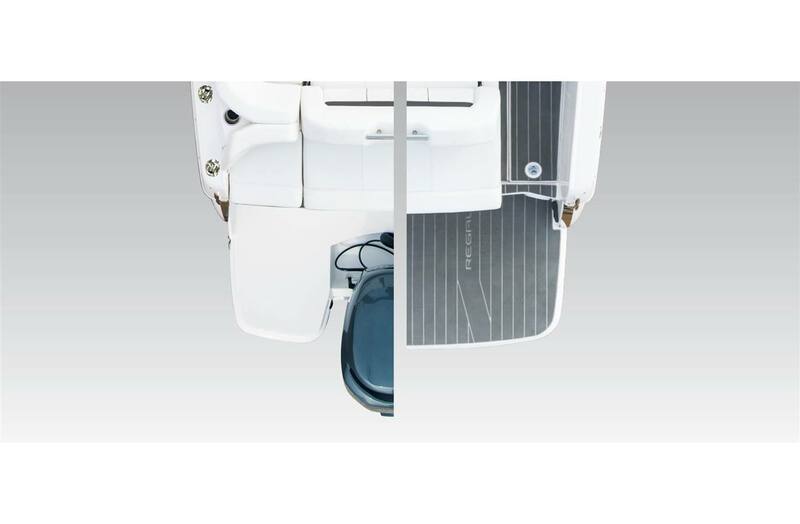 Bow Anchor Locker: A dedicated anchor storage locker will keep your anchor out of valuable storage lockers and from damaging other boating gear. 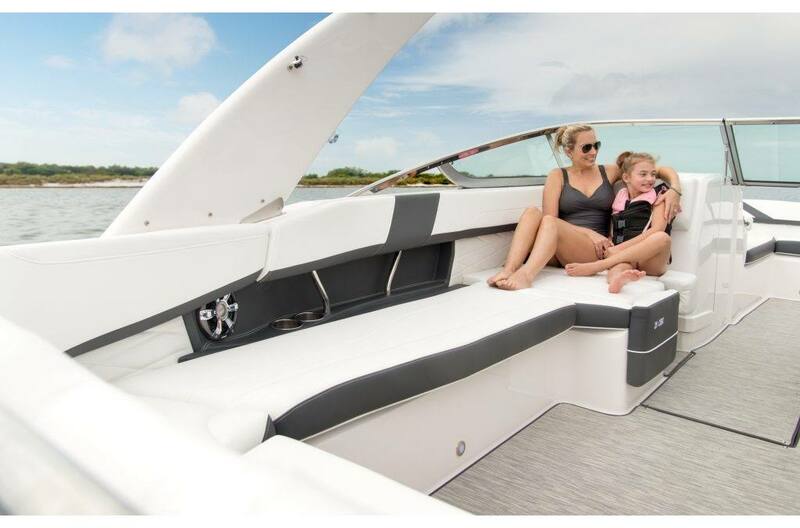 Handcrafted Upholstery: The 26 FasDeck features handcrafted upholstery, stainless accents, and expanded seating to accommodate your needs. Social Seating: Face forward or aft with the flip of a seat to keep up with the action no matter what direction it may be. StoreMore Bow Lockers: StoreMore bow lockers ensure you will have plenty of space to store all your belongings. 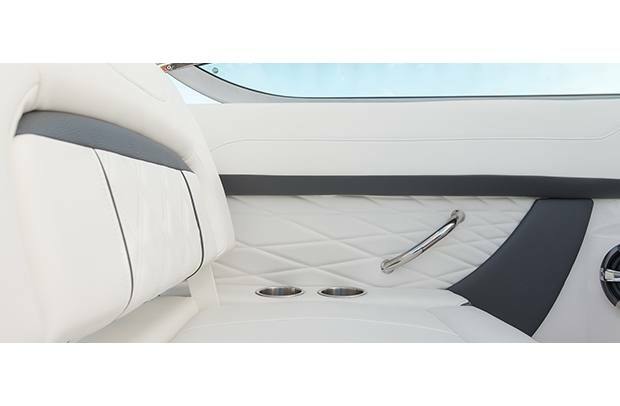 Oversized Helm Seat: The oversized helm seat with flip up bolster complements the hand wrapped dash. 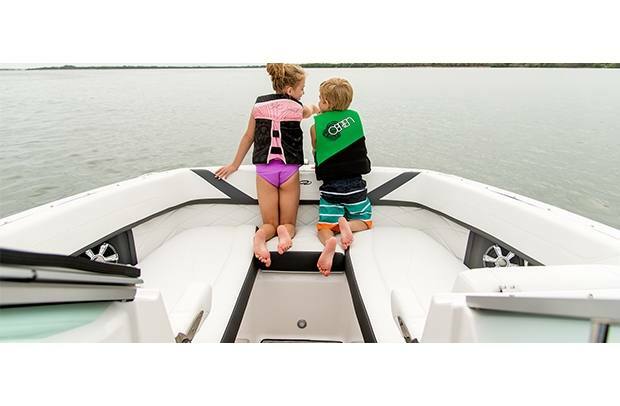 Bow Anchor Locker with Fiberglass Lid: No need to drag the wet anchor through your boat because the 26 FasDeck has designated storage on the bow. Painted Engine - White - Get a modern and sleek look with a painted white engine. 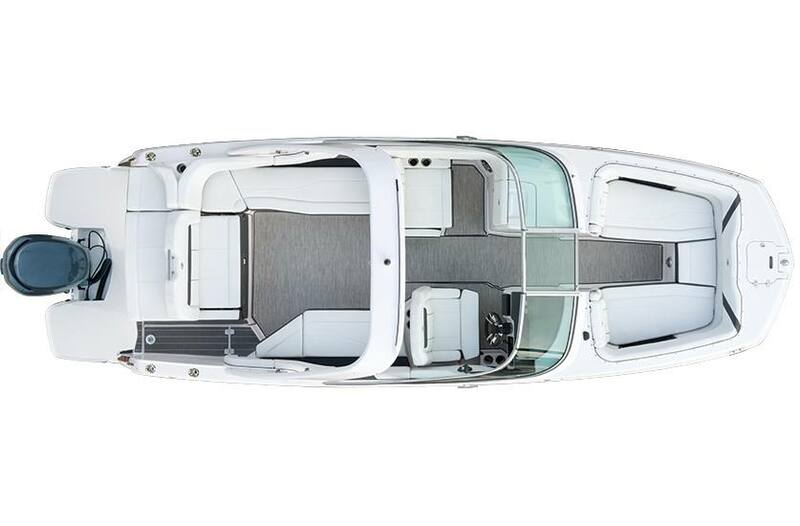 Cockpit Wetbar - Entertain guests well while on the water.